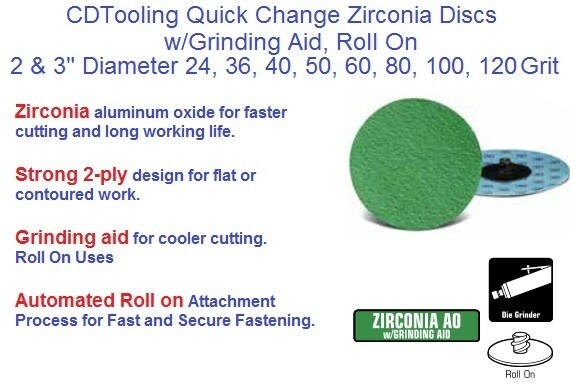 Abrasive Roll on and Turn on Disc Use USA developed, automated spin-weld attachment process for fast and secure fastening. 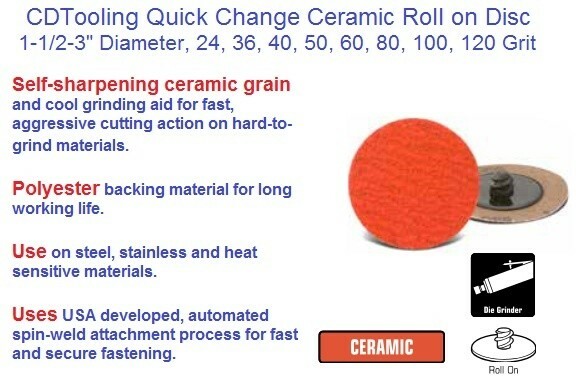 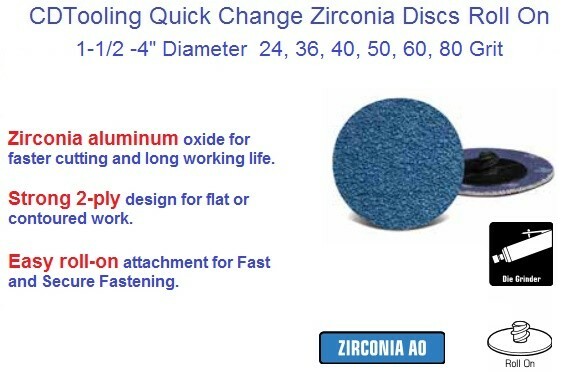 Ceramic, Zirconia, Aluminum Oxide, Surface Conditioning abrasives for all finishing requirements. 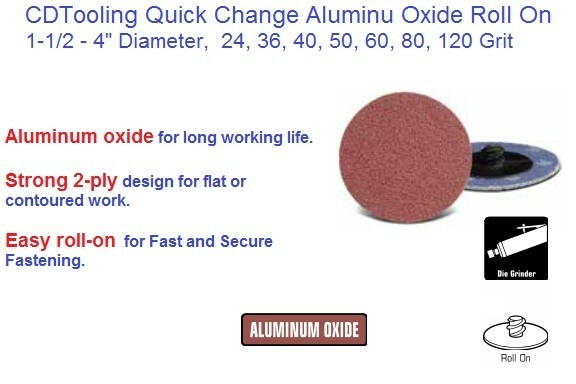 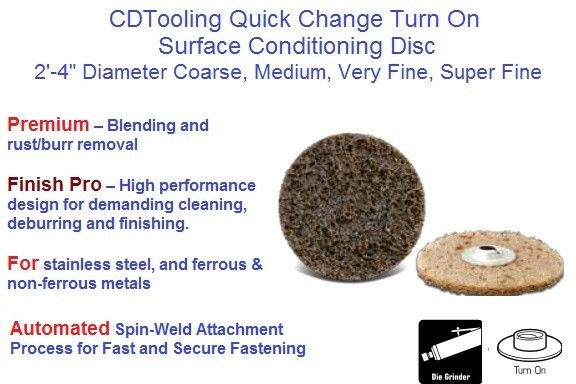 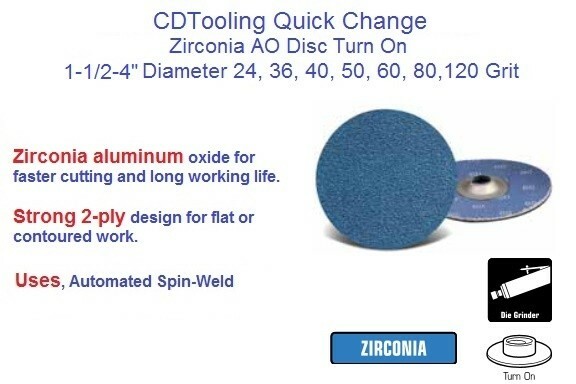 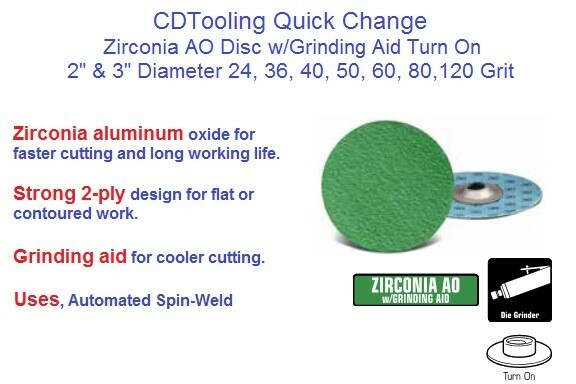 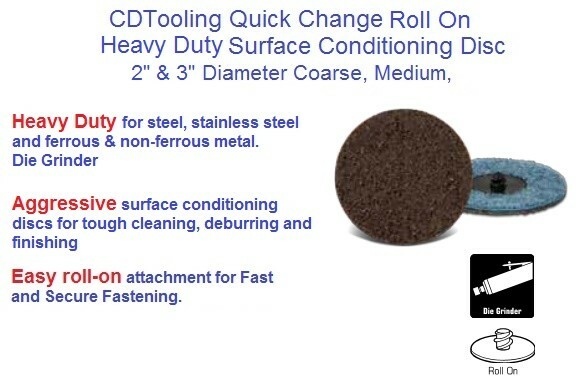 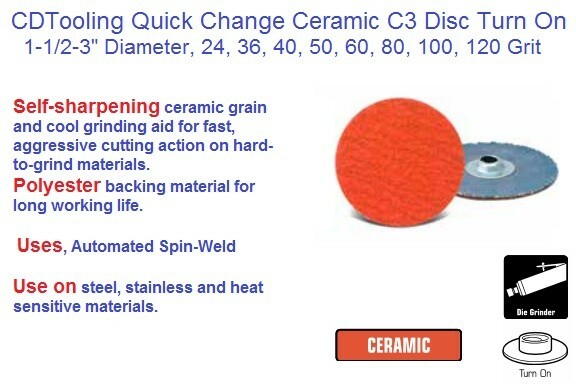 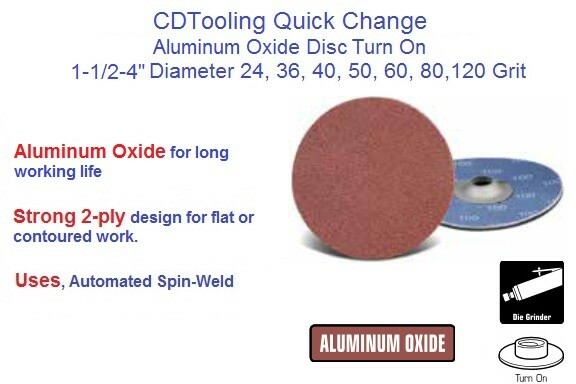 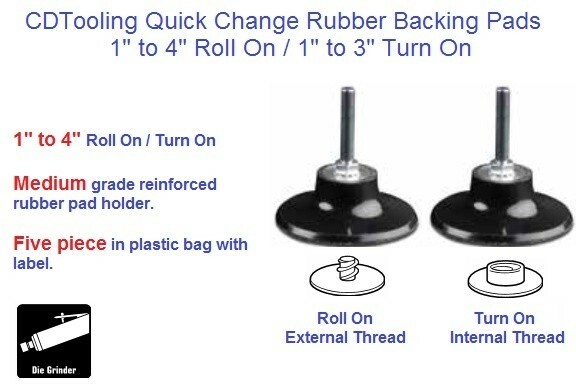 Quick Change Back Up Pad, Roll On Disc, Turn On Disc 1" 1-1'2" 2" 3" 4"
Abrasive Quick Change Disc Zirconia AO w/Grinding Aid Roll On 2" and 3"
Abrasive Quick Change Disc Zirconia AO w/Grinding Aid Turn On 2" and 3"